Aviation Updates Philippines - The Philippine unit of Malaysia AirAsia is eyeing flights to Japan next year as part of its expansion process in the international sector, according to its CEO. Philippines AirAsia recently bagged the unused entitlements previously owned by Philippine Airlines. With the acquisition of entitlements, the airline may now start its flights to the country of Japan. However, its official said that it is still focusing in the Chinese market this time. “We are able to get new entitlements to Japan. 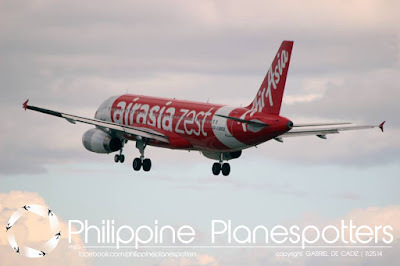 Maybe by late next year we will fly to Japan because in the first half I will be focused on the China routes,” Philippines AirAsia Chief Executive Officer Joy Cañeba said. According to Cañeba, the airline is planning to launch flights to Tokyo's Haneda International Airport. If the plan does not succeed, it will then launch flights to Tokyo-Narita International Airport using its Airbus A320 aircraft. Philippines AirAsia currently operates 12 Airbus A320-200 aircraft (down from 17) and plans to lease 5 more aircraft from AirAsia Berhad by Tony Fernandes. Cañeba also said that Philippines AirAsia is looking to book its full-year net profit in 2016 and continue to improve its Chinese and South Korean services in the first half of next year. She said that the airline could grow rapidly if there are good infrastructures here in the Philippines to accommodate their 180-seat Airbus A320-200 planes. Philippines AirAsia is currently studying the possibility of acquiring turbo-prop aircraft to serve the underserved places in the Philippines.